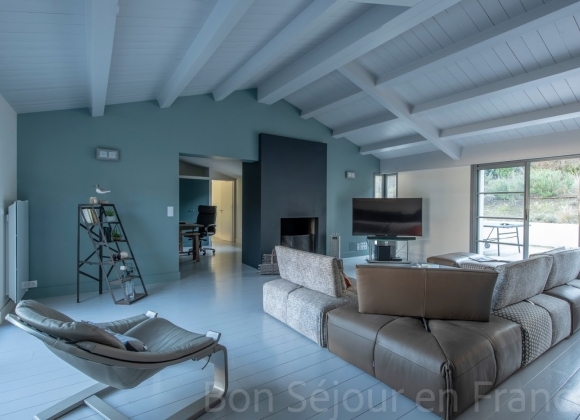 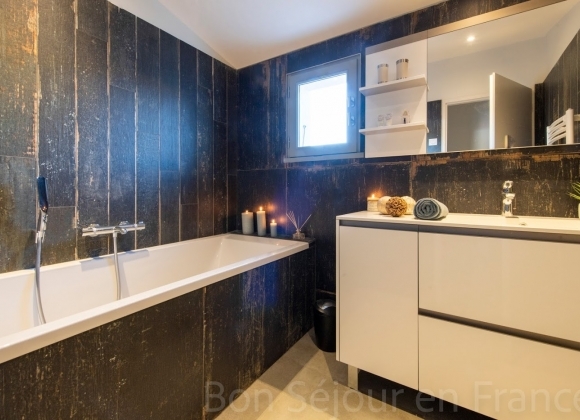 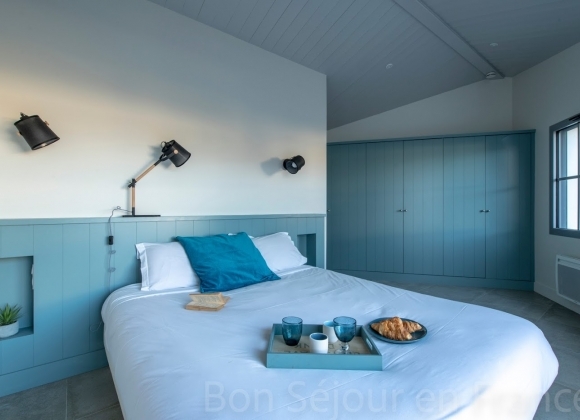 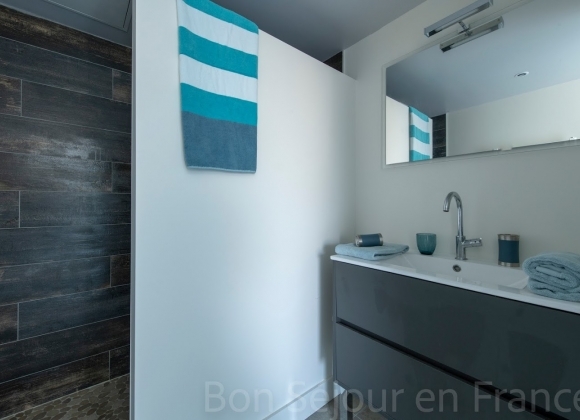 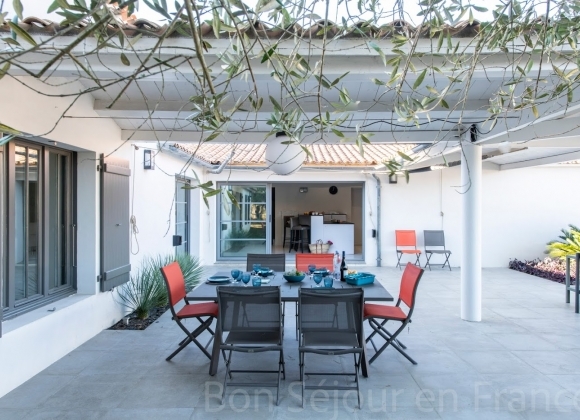 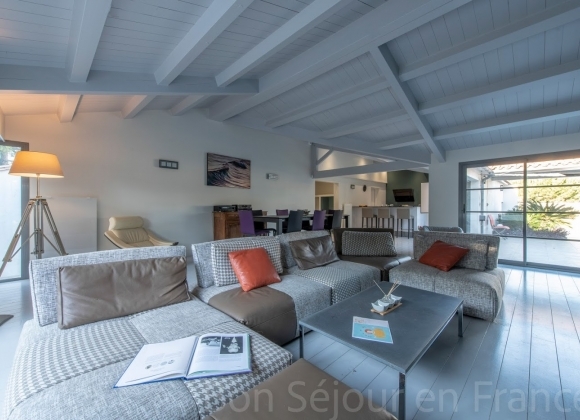 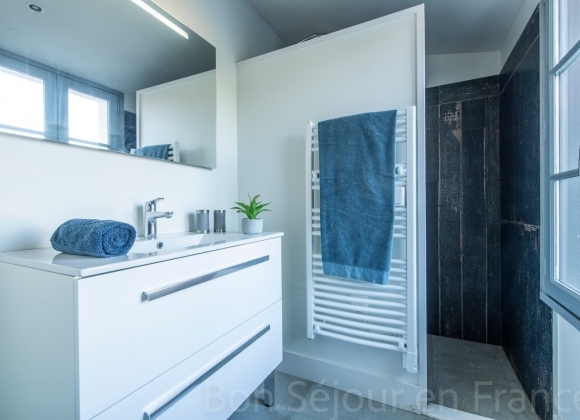 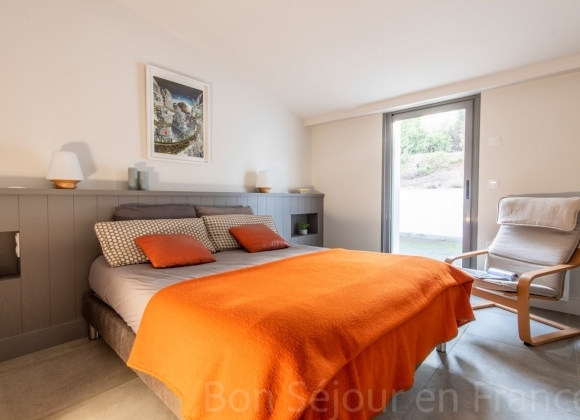 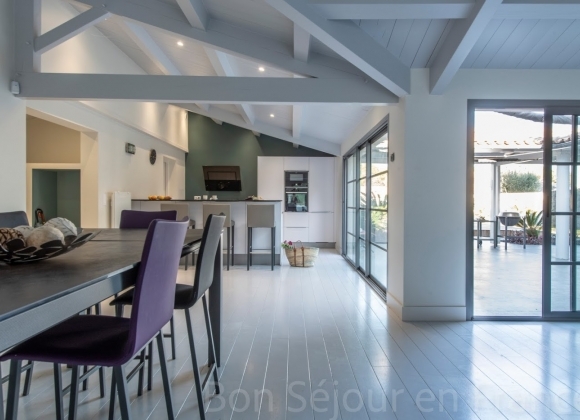 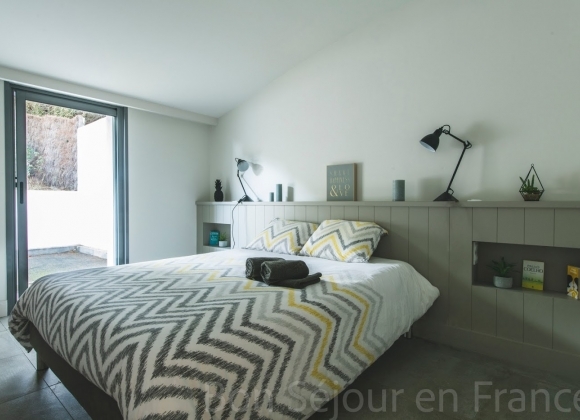 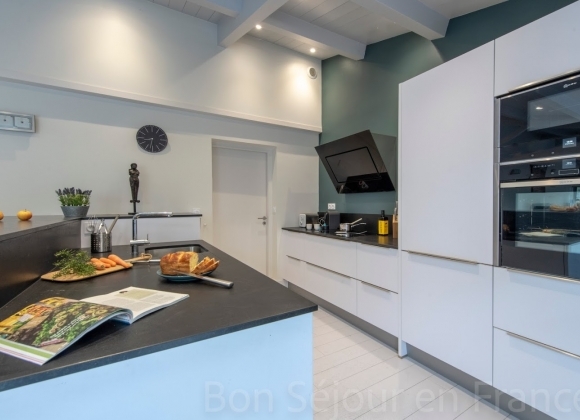 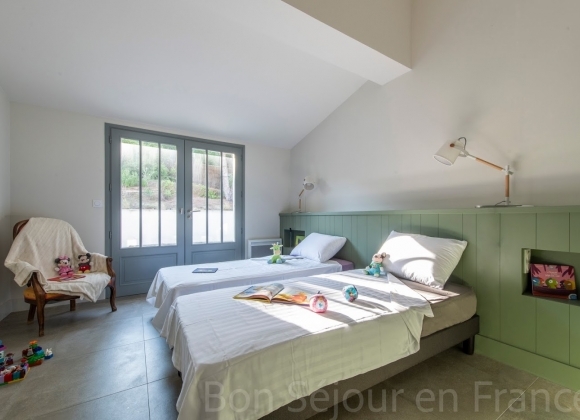 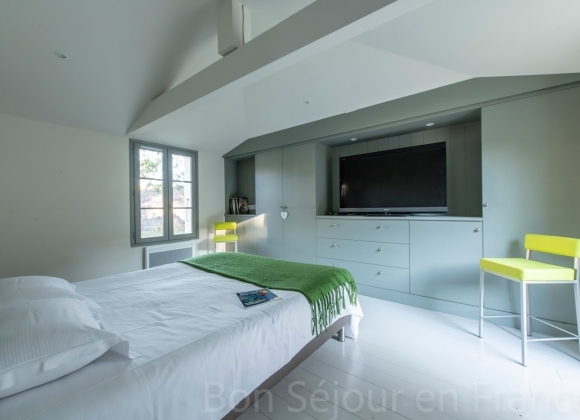 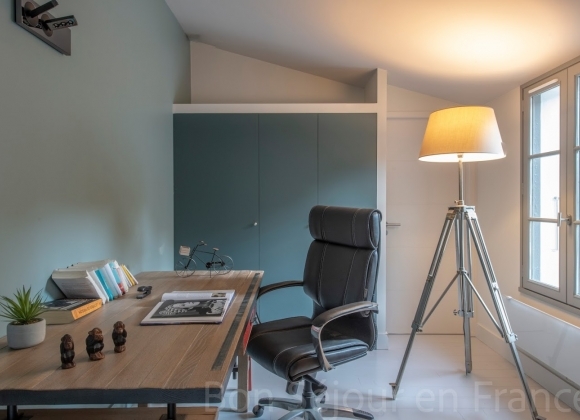 Ideal for family holidays around the swimming pool or on le Bois’ beautiful nearby beaches (‘le Petit Sergent’ beach), this modern villa welcomes you for wonderful holidays. 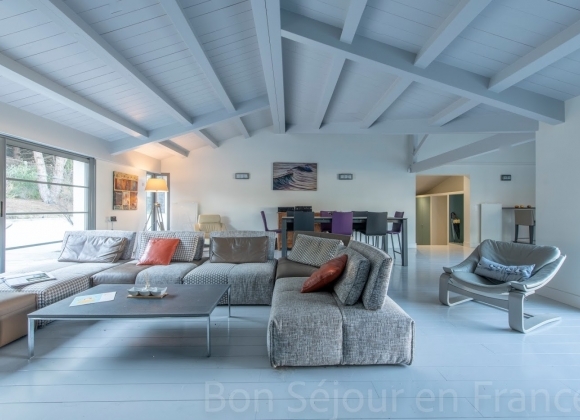 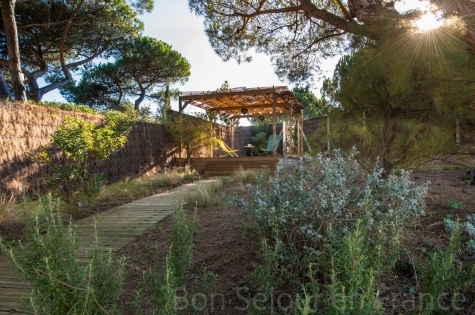 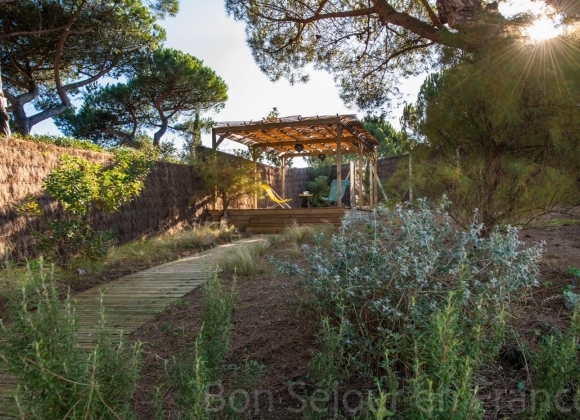 Built on a 1200m²-large piece of land nestled against the sand dune, this villa, which can house up to 10 people, elegantly links intimacy and modernity. 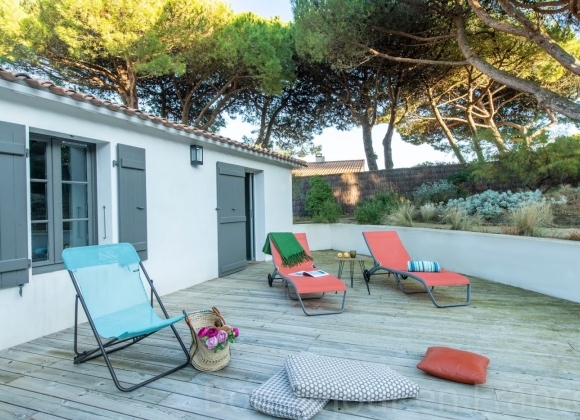 You’ll enjoy a dip in the heated swimming pool, or a nap in the shade of the sheltered patio or greenery. 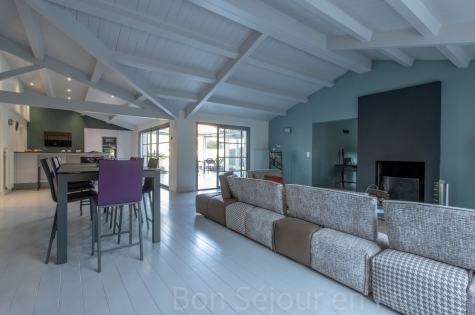 Modern decoration and appliances, large living areas, what more do you need to enjoy your holidays? 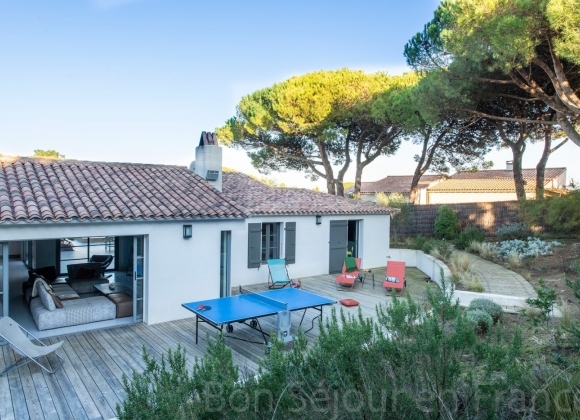 Its location is ideal between the village and the beach. 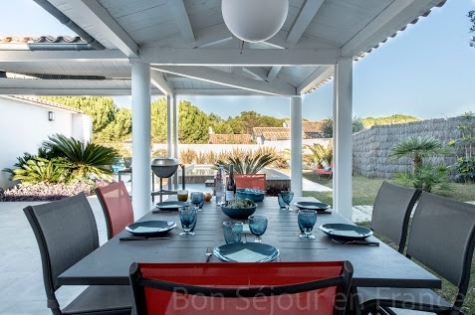 This large, comfortable house opens out on its landscaped garden and sheltered patio, allowing each guest to enjoy pleasant holidays with friends or family.